Education is a valued asset in Novi, making the community a choice place to live because of the highest quality educational opportunities. 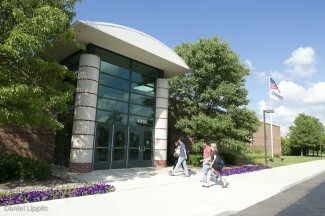 The Novi Community Schools combine the benefits of suburban settings with the latest technology and teaching techniques. Students receive instruction in foreign languages and have access to advanced placement courses to help prepare them for continued education. The schools’ responsibility is to educate the students so that they can be successful in an increasingly complex and challenging world. Ringo Kai has partnered with the Novi Community Schools to use 40 classrooms on Saturdays to instruct over 800 Japanese students. These students are taught history, language, geography and Japanese culture. Novi is also home to FlexTech High School which is a 21st century high school that prepares students for college, career, and life. They offer a project-based curriculum in a technology-rich environment because they know deep understanding comes from meaningful activity. With ‘high school defined by you’ as their motto, FlexTech encourages students to design their own path to graduation by taking advantage of interest-driven projects and flexible scheduling. Most importantly, their students develop profound relationships with caring adults called advisors who track their progress, help them set ambitious goals, and make sure they graduate on time and prepared for post-secondary learning. Their school also has a state-of-the-art makerspace to support their strong STEM, Art and Design programs. If a private education is preferred, students may attend Novi’s Catholic Central High School, a school for boys. Very close by is St. Catherine of Siena Academy, an all-girls Catholic high school. Novi offers local choices to pursue higher education at Walsh College, The Art Institute of Michigan and South University. Walsh College is an award winning 35,000 square foot educational facility which provides a home for business-based training through instructors and business professionals. The Art Institute of Michigan is a branch of The Illinois Institute of Art-Chicago. The school provides training in culinary arts, fashion marketing, design and media arts through bachelor’s, associate’s and certificate programs. South University-Novi houses the College of Arts and Sciences, College of Business and College of Nursing and Public Health. Additional Colleges and Universities situated near Novi are Cleary University, Davenport University, ITT Technical Institute, Lawrence Technological University and Schoolcraft College. Expressions Music Academy provides music education for both young and old. They have 13 classrooms for private lessons in piano, voice, strings, guitar, brass, woodwind and percussion. World Renowned, Dale Carnegie Training, focuses on improving the performance of companies by improving their teams’ performance. Dale Carnegie has evolved from one man’s belief in the power of personal development to a global workplace learning and performance organization.